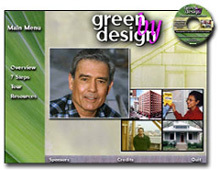 Marshall Frech has produced several environmental public service projects. Samples from these award-winnng PBS movies, books, CD-ROMs, and web sites are shown below with a partial list of successful grants and partnerships. Mr. Frech's current long-term work is "The Water's Edge," a multi-part PBS series on the growing problems that floods present to our ever-urbanizing society. 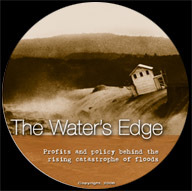 "The Water's Edge" explores the denials, financial incentives, and policy failures behind the flood disasters that cause the most death and damage in the U.S. and worldwide.. The movie includes an uncanny prediction for New Orleans fate just five weeks before Katrina made landfall. We see how wake up calls for such disasters are routinely missed with much worse events likely in the near future. 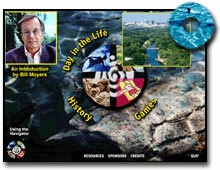 "The Water's Edge" is currently airring on PBS affiliate stations around the U.S. This program introduces the concept of sustainable design with a tour of commercial and residential buildings. It also includes a comprehensive guide to seven essential steps in a successful greenbuilding project. 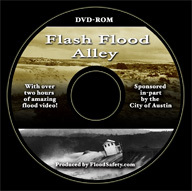 This CD-ROM explores the cultural, scientific, and human history of Barton Springs, a large natural swimming pool that sparkles like a jewel in the center of Austin, Texas. 1999 SXSW Interactive Festival -- Outstanding Achievement in Public Service / Community Collaboration Award from the United Way. This hardbound book contains 30 interviews (a wealth of photographs) and essays from a diverse group of celebrities including Governor Ann Richards and actor Robert Redford. Profits are dedicated to land preservation. ISBN# 1-881484-05-X.